The author Daša Drndić, who has died of lung cancer aged 71, was incapable of writing a sentence that was not forceful, fierce or funny – or all three simultaneously. A major theme in her life’s writing, which comprised a dozen novels and some 30 plays, has been the overlooked (or deliberately omitted) complicity of her native Croatia in the Holocaust, expressed in a style that has been described by critics as “neo-Borgesian”. Daša disliked that description as much as that of “documentary fiction” – another attempt to capture her particular meld of historical fact with personal testimony, and of meditations with memorabilia (bus tickets, concert programmes, above all apparently random lists and photographs, all of which build their own story). Her literary hybridity lends power to what are often stories about insignificant individuals who become sadistic monsters through opportunity and sanction. Daša named Franz Kafka, Thomas Bernhard and Elfriede Jelinek as her inspirations and she might be better compared with any of these writers than with the Italian author Elena Ferrante, whose successor she has often been hailed. Her works have been translated into 15 languages, and three novels are available in English: Trieste (2012, first published in Croatian as Sonnenschein in 2007), translated into English by Ellen Elias-Bursać; and Leica Format (2009, first published in 2003) and Belladonna (2017, first published in 2015), both translated by Celia Hawkesworth, who is currently working on Doppelgänger (2002), scheduled for publication in English in September. They weigh in like doorstops, yet do not contain a surplus word. Trieste traces the port’s history from the end of Habsburg rule through fascism in the 1920s to Nazi occupation and the establishment of the San Sabba concentration camp in 1943. Cities change names from German to Italian and back again, while indigenous languages and identities are spurned and suppressed. There is linguistic irony even in the name of the protagonist Haya Tedeschi – meaning, etymologically, German, although she is a Jew. It is a name her son Franz never knew, for under the Lebensborn programme his Nazi father had him adopted (or abducted) by an Aryan family. The book opens with a first reunion between Haya and Franz when he is aged 62. Documents interspersed into the narrative reinforce Haya’s desperation to gather all she may retrieve of a largely obliterated past. Included are 42 pages naming the 9,000 Jews deported to or murdered by Italy during the second world war. 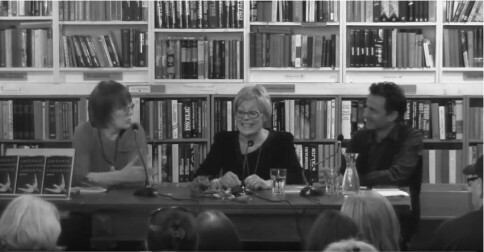 Daša circulated the book around the packed audience while I was interviewing her at a literary festival in Kings Place, London, in 2012, so they could check whether their own family names were included. In Belladonna, the names of Dutch child deportees, some as young as 15 months, fill 17 double-column pages of small print. When all we have left is their names, this is the only homage left to give. Daša was born in Zagreb, when Croatia was part of the Socialist Federal Republic of Yugoslavia, into a middle-class family of intellectuals. Her mother, Timea, was a psychiatrist and her father, Ljubo, who had been a wartime partisan, later became a diplomat, serving as ambassador to Sweden and Sudan. He raised his family in both Serbia and Croatia. Daša studied philology at the University of Belgrade, before winning a Fulbright scholarship to the US, and taking a master’s in theatre and communications at Southern Illinois University. She studied for a PhD at the University of Rijeka, where she later taught for a while. She came to love the port city and lived there for 25 years. In her 30s she worked as a journalist and translator –“It was exhausting. I wanted to write, not waste time on translations” – then as a publisher’s editor and in Radio Belgrade’s drama department as playwright/producer. Despite being unpredictable, even temperamental, and although she guarded her private life, Daša grew to enjoy being a public figure. She was a longstanding activist in PEN Croatia and the Croatian Writers’ Association, and in numerous free speech and human rights campaigns. She was delighted to be shortlisted for the Independent foreign fiction prize in 2013, and to learn earlier this year that Belladonna was a finalist in the new European Bank for Reconstruction and Development award. Characteristically, and knowing she was dying, she used the prize money to host a farewell party in her favourite Rijeka bookshop. Doppelgänger, which she once described as “this latest ugly little book of mine”, tells the tale of two old people meeting on New Year’s eve, he a former naval officer in the Yugoslav armed forces, she an Austrian Jew who fled to Croatia. “It ends with their suicide. It’s grotesque in a way ... probably repulsive for readers. But it’s my favourite.” Recounting what might otherwise be suppressed or thought better left unsaid was ever Daša’s mission and she remained courageously true to it to the end. 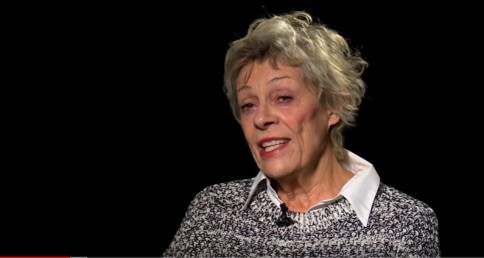 Daša is survived by her daughter, the film-maker Maša Drndić. Her brother, Gojko, died last year. Books of prose: Put do subote (The Road to Saturday), Belgrade 1982, Kamen s neba (The Stone from Heaven), Belgrade 1984, Marija Czestochowska još uvijek roni suze ili Umiranje u Torontu (The Black Madonna), Rijeka-Zagreb 1997, Canzone di guerra, Zagreb 1998, Totenwande, Zagreb 2000, Doppelgänger, Belgrade 2002, The False Teeth of Lila Weiss, Toronto Slavic Quarterly, no. 9,2004, Leica format, Zagreb - Belgrade 2003, After Eight, literary critiques, Zagreb 2005, Doppelgänger, Zagreb 2005, Feministički rukopis ili politička parabola: Drame Lillian Hellman (A Feminist Manuscript or a Political Parable: The Plays of Lillian Hellman), Ženska infoteka, Zagreb 2006, Sonnenschein, Fraktura, Zagreb 2007, April in Berlin, Fraktura, Zagreb 2009, and Belladonna, Fraktura, Zagreb 2012. 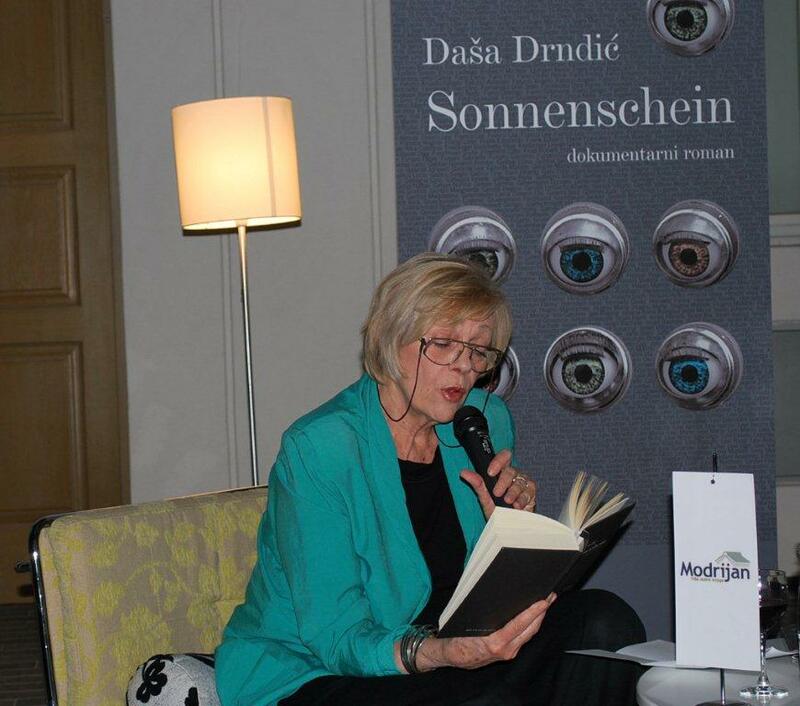 In 2008 Sonnenschein was awarded the “Cyclops” Prize for the best novel of the year 2007, the “Fran Galović” prize as best prose work of the year 2007, and was nominated for the “Jutarnji list” award for the best prose work of the previous year. In 2004 the novel Leica format was nominated for the literary prizes of «Jutarnji list» and «Vjesnik», as well as for those of «Gjalski» and «Cyclops», and in 2005 her literary critiques After Eight for the «Cyclops» award, as well as April in Berlin in 2009, which was also nominated for the “Jutarnji list” literary award in 2010. 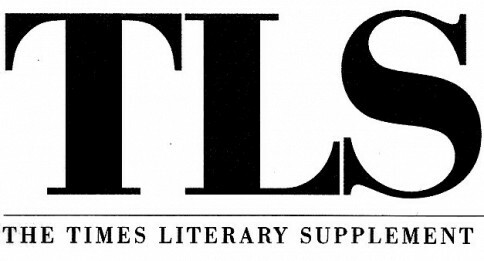 From 1968 to 1991 she was a member of the Association of Literary Translators of Serbia. She was president of the Society of Single Parents – “Minus One”, member of the Croatian Writers’ Society and Croatian P.E.N. Centre. 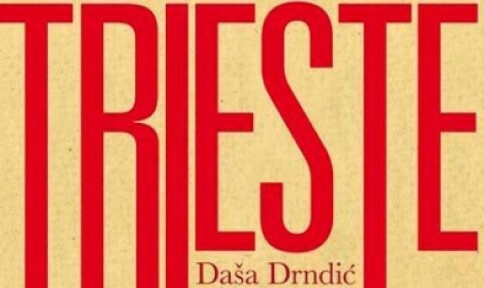 Just recently, in the months before her death, Drndić's work received high praise from the international literary community. The Guardian named her novel, Belladonna, one of the best new European novels translated into English and it was also shortlisted for a new literary award for translated literature, the EBRD prize. Below is an excerpt from Drndić’s 2002 novel, Doppelganger. In this passage, the protagonist observes rhinos in a zoo, leading him to contemplate unexpected parallels with his own life as he sifts through his memories and unexamined feelings. 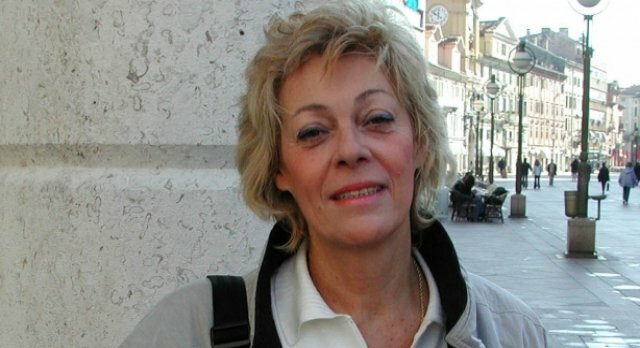 The award-winning, critically acclaimed Croatian novelist, Daša Drndić passed away this June in Rijeka at the age of 71. 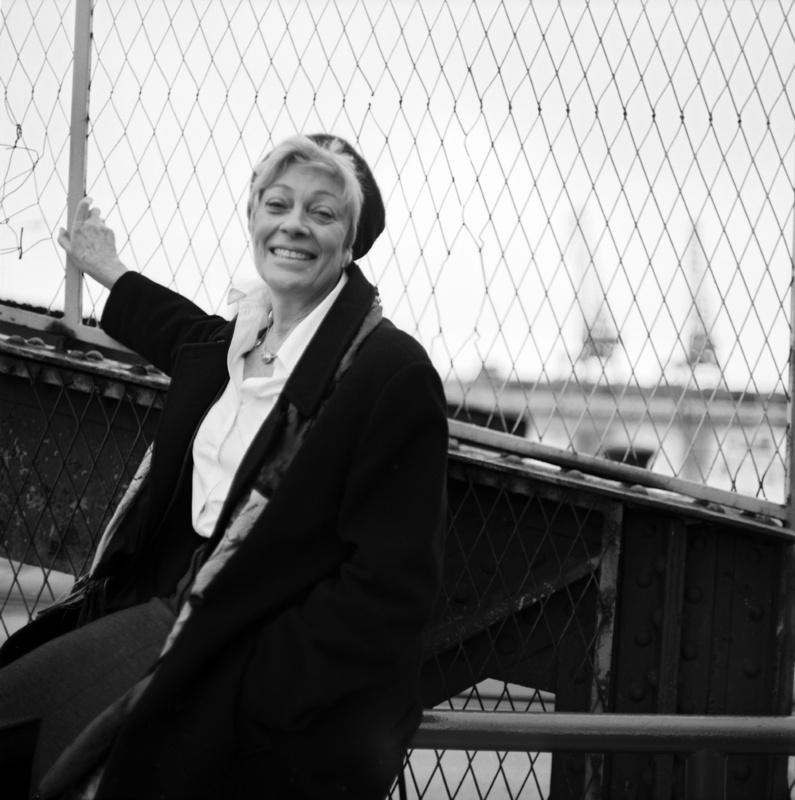 She boldly took on difficult subject matter in her novels from fascism to cancer. Her novel Sonnenschein (2007) won multiple awards in Croatia and the English translation (Trieste) was shortlisted for an international literary prize, as was her novel Belladonna (2012). Holding a Bachelor’s Degree in English Literature and Philology from the University of Belgrade, a Master’s Degree in Theater and Communications from Case Western University and a PhD from the University of Rijeka, her career was long and varied. She was a novelist, a playwright, an editor, a literary critic, a translator, she worked for twenty years as a writer, producer and editor for Radio Belgrade and wrote more than thirty radio plays and fifteen features. She taught Modern British Literature and Creative Writing at the University of Rijeka. Her writing has been published in numerous literary magazines and her books, thirteen in total, have been translated into multiple languages. 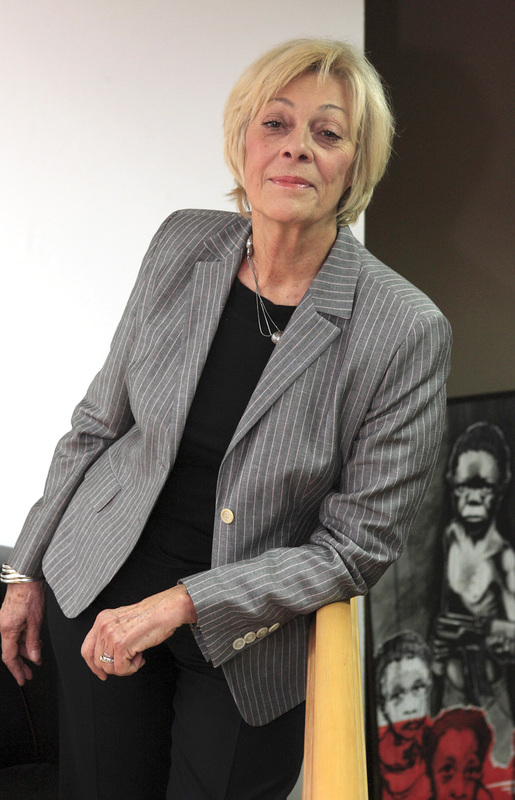 Read a poignant tribute to her and her work in the Guardian. The new prize, awarded by the European Bank for Reconstruction and Development, honors excellent English translations of books from countries where the bank operates- a vast stretch of land spanning from Central Europe to Central Asia. Dasa Drndic’s Belladonna, translated by Celia Hawkesworth, was shortlisted along with the Nobel Prize winner, Orhan Pamuk’s Red Woman. Tea Tulic’s novel, Hair Everywhere, which was translated by Coral Petkovich was longlisted for the prize. 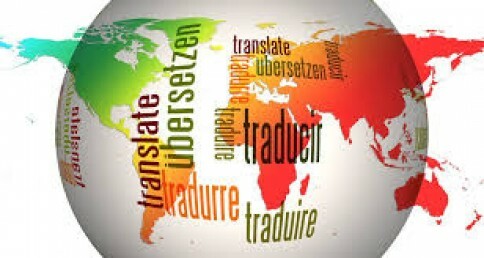 The 20,000 euro prize is split evenly between author and translator as the award intends to encourage more high quality English translations of authors from these regions. The winner will be announced in April, 2018. The shortlist for the Independent Foreign Fiction Prize is announced, and Daša Drndić is on it! 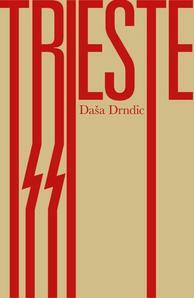 Drndić was shortlisted for her novel Trieste, a story about Jews of Gorizia in Northeast Italy during World War II. The Independent Foreign Prize honours the best work of fiction by a living author, which has been translated into English from any other language and published in the United Kingdom. 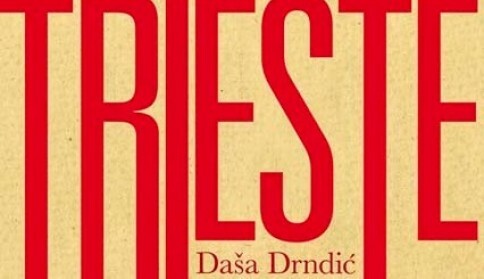 "With Trieste, the Croatian novelist and playwright Daša Drndić has bridged the gap between Yugoslav and post-Yugoslav fiction, between the work of Danilo Kis, say, writing in the Communist era, and that of Nenad Veličković or Vladimir Arsenijević, responding to the genocidal violence unleashed in the 1990s..."
This extraordinary work of fiction concludes with the narrator, Haya Tedeschi, reflecting on all she has compiled in eight long years of research and remembering. "I have arranged a multitude of lives, a pile of the past, into an inscrutable, incoherent series of occurrences... I have dug up all the graves of imagination and longing... I have rummaged through a stored series of certainties without finding a trace of logic." Leica format , "Samizdat B92", Belgrade, 2003.